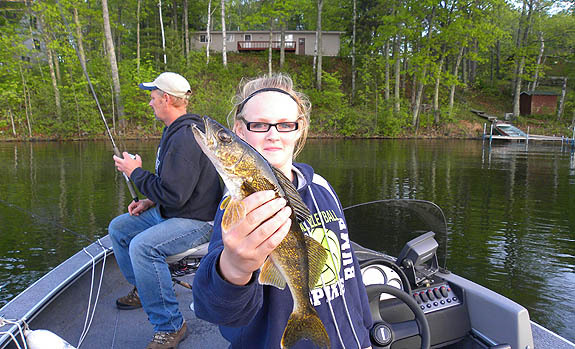 Sand Lake Pines Resort & Campground is located 11 miles south of Hayward on Highway 27/70on beautiful Sand Lake. 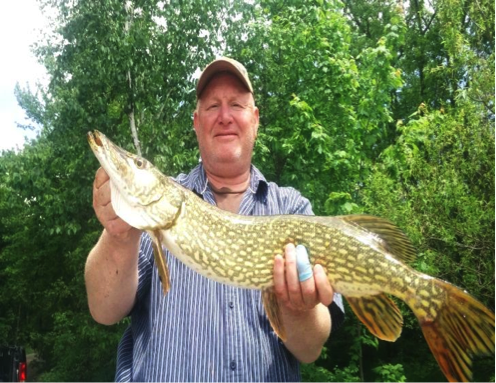 This action packed body of water covers 928 surface acres with a maximum depth of 46 feet. 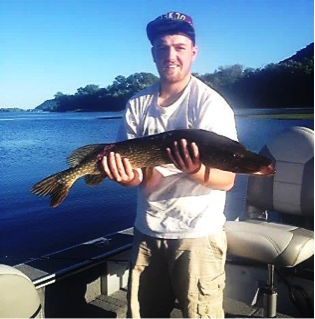 Its clear water produces musky, northern, walleye, bass and pan fish. In addition, the circular shape of Sand Lake offers the finest in boating, sailing and water-skiing. Reed beds located on the northern and southern shorelines offer excellent fishing opportunities for all species of fish. We have 5 cottages great for family vacations and get togethers, or just a getaway. 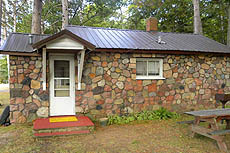 All cottages are within walking distance of each other. They are all modern and remodeled. 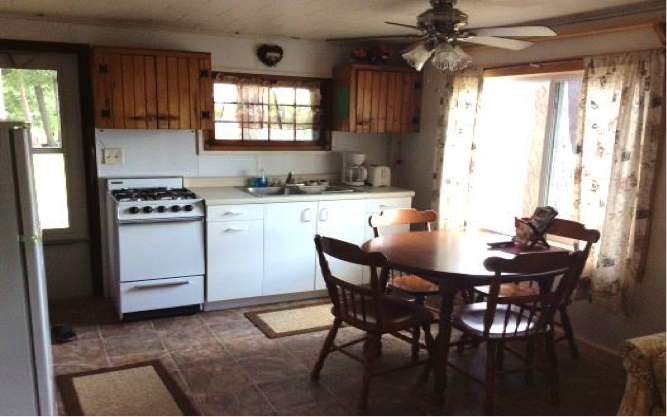 All cottages have a refrigerator, stove, microwave, coffee pot, toaster, pots & pans, dishes etc. All you need is your bathing supplies. Sorry No pets in cabins. Weekly and Weekend Rates Available, see below. 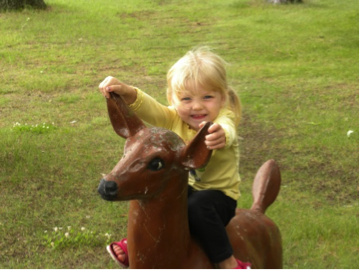 Our RV Park is located amidst mature woods. 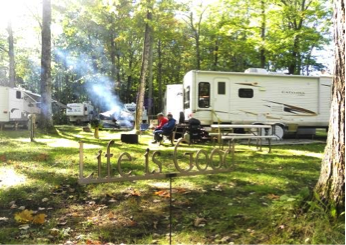 We have 50 sites, most of them seasonal sites, with a few open camping spots. All come with water, sewer, electric and Cable TV. Other services include shower house, fire rings, and picnic tables, play area & game room. Many of our spring and summer guests return in the fall to enjoy the beauty of the changing seasons. The gorgeous yellows, reds and gold's, bordered by the tall virgin pines and coupled with the breathtaking early autumn northern lights display, inspire the ardent camera fan and sportsman alike. Pontoon and boat are available for rent. Firewood is available for all guests. Please no carry-ins. Please put your campfire out before going to bed. The game room is open 8 a.m. to 10 p.m. daily. Inside the game room is a variety of reading materials, including a book share shelve & pamphlets of local attractions. Plus in game room is a pool table, foosball table, arcade games and TV. Loud games and noises by children and adults should be curtailed, and children should rejoin adults at their respective places by quiet time: 10:00 p.m. to 8 a.m. 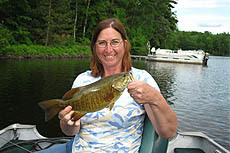 Fish cleaning is not permitted in the campground or cabins. A fish cleaning house is provided for your use. Swimming area is shallow for a long way out. The lake has a clean sandy bottom. We also have paddle boats. You swim at your own risk. Children should be supervised at all times. No swimming after dark is permitted. Open May 1st to Oct ??? 2-Day minimum on all cabin rentals. 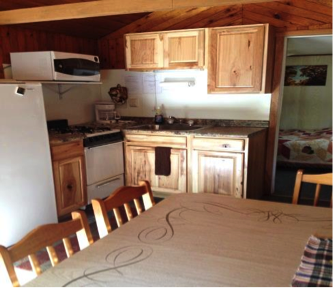 Cabins available on a monthly basis. Please call for more information. All prices subject to 5.5% state tax. 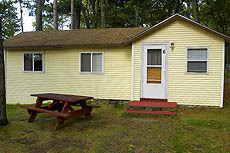 $100 deposit is required for each weekly cabin rental. Refunds are at management's discretion. A reservation confirmation will be sent to you. Quiet hours are from 10:00 P.M. to 8:00 A.M. Speed limit is 5 M.P.H. All Credit Card payment may be subject to a 4% service fee. would like to make a reservation, please call us at 715-533-3607 or 715-865-2309. 11 miles south of Hayward, Wisconsin on Highway 27/70. 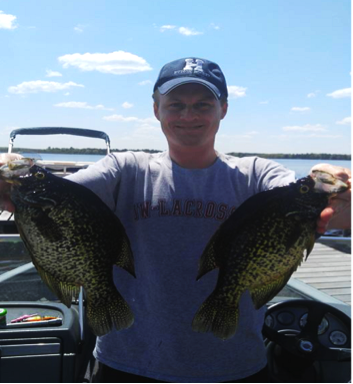 Copyright © 2000 Sand Lake Pines - All rights reserved. This site created by Complete Computer Solutions, Inc.